Written on 31st October 2017. 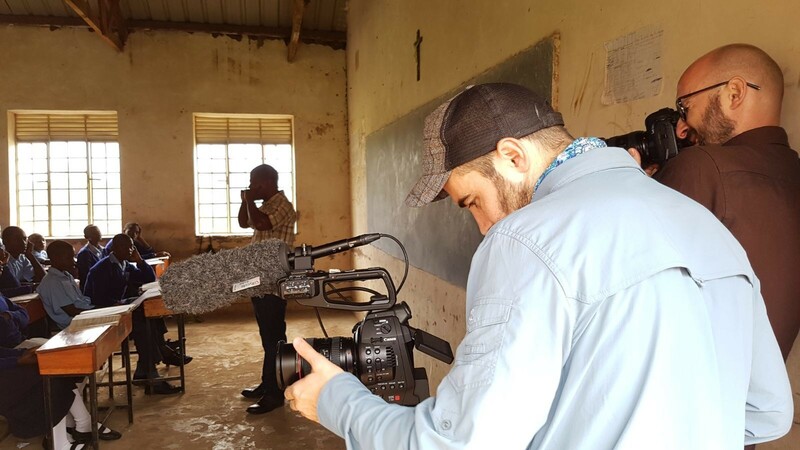 ShortsTV’s Head of Production (Stephanie Charmail) and Producer (Maxwell Creed) are filming short films in Uganda on behalf of children’s charity, Lessons for Life. In this blog post they write about their first three days in the country and some of the challenges they have faced so far. It’s day three for us in Uganda and we are already completely under its charms! Things got off to a bumpy start though. We landed late in the evening on Friday at Entebbe airport (after a long flight from London via Amsterdam and Kigali) and had to spend three hours in customs clearing all of our camera equipment. Every item was checked – yes – including every single cable or detachable part that make up our camera and lighting gear! It was exhausting but something that seemingly couldn’t be avoided so we’ve written it off as an educational experience. This week, we are based in a town called Lyantonde in the west of Uganda. Lyantonde is where Child Aid Uganda (CHAU) is based, which is one of the grassroots organisations that Lessons for Life supports. We are visiting some of the primary and secondary schools and students that are under CHAU’s umbrella. 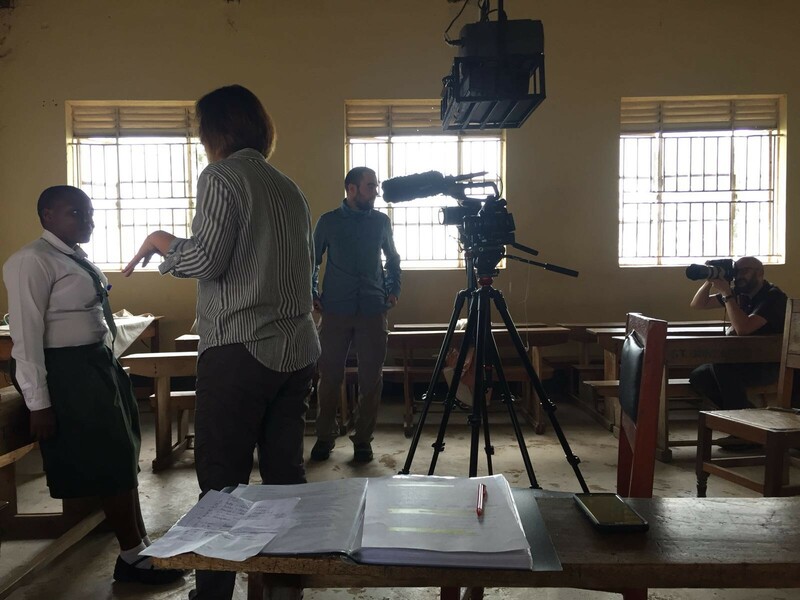 So far, we have been to a secondary school where both the teachers and students had more passion, motivation, ambition and community spirit than anyone we have ever encountered before. Filming here has come with its small challenges and is keeping us on our toes! The red dust, although stunning on the landscape, gets EVERYWHERE. Cans of compressed air to the rescue and the equipment is shiny as new. Ambient noise: recording interview sound in schools here can be tricky. The rooms with bare walls tend to echo, the rain gets pretty loud on the corrugated metal roofs, and the 900 students in the school cannot all be kept quiet at once. However, with clever wrangling from our partners at CHAU and Lessons for Life, we have managed to work smoothly. The light outside changes very quickly. We are at the beginning of the rainy season and so one minute it is raining with dark menacing clouds and the next minute the burning sun shines brightly. So, we are sticking to interviewing indoors where possible. Finally, with little electricity available to us on location we are having to work long days without power and make sure everything is charged up sufficiently each evening. This is still only the very beginning of our adventure and we are so excited for what this week will throw at us! Stay tuned to our blog for more!